This is a selection of short stories recounting, with gentle satire and tolerant good humour, the small town provincial life at the end of the nineteenth century, based around the six towns in the county of Staffordshire, England, known as the Potteries. 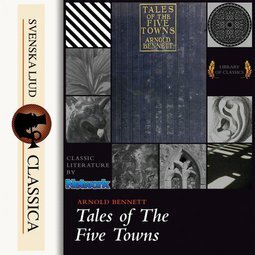 Arnold Bennett chose to fictionalize these towns by changing their names and omitting one (Fenton) as he apparently felt that "Five Towns" was more euphonious than "Six Towns". The real town names which are thinly disguised in the novel are: Hanley, Longton, Burslem and Tunstal, the fifth, Stoke became "Knype".